The water in the above screenshot is rendered with the water layer. 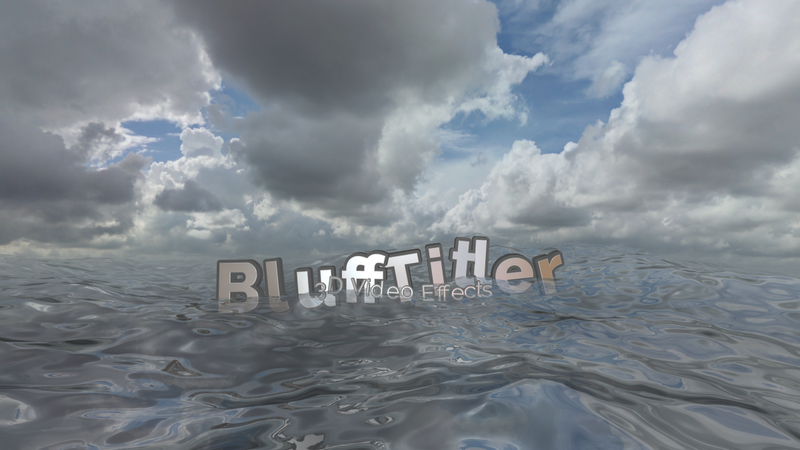 The menu item LAYER > Float in water is used to make to text layers float in the water. What can I do with the water layer? With the water layer you can render water. How do I create a water layer? Choose LAYER > Add layer > Add water layer... to create a new water layer. The new water layer can be selected from the layers dropdown to make it the active layer. The installer comes with shows demonstrating the possibilities of the water layer. Choose FILE > Open show... and select a show from the BluffTitler/Media/Shows/Water folder. The water is simulated using the Gerstner model. In this model the water surface is not only moving vertically but also in the horizontal plane. Complex patterns are created by adding lots of waves with different wave lengths, amplitudes, speeds and directions. Sinus waves have round extremes. Set the Waves steepness property to 0 for sinus waves. Realistic water has sharp peaks and wide troughs, which is perfectly modeled by the Gerstner waves. 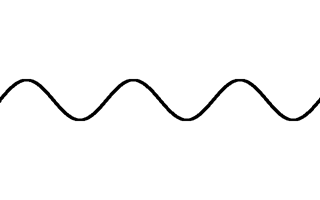 Set the Waves steepness property to 1 for Gerstner waves. The simulation is deterministic. No random variables are used, so the water always looks exactly the same. The water layer needs the Effects/Special/Water effect. Choose LAYER > Float in water to make your layer float in the water. The vertical position is now relative to the water surface. The position of the water. The size of the water. The specular colour of the water. The position of the foam texture. Choose MEDIA > Change texture... to change the texture. The size of the foam texture. This property can be used to solve sorting problems. When the water and landscape layers are placed at the exact same position, you can force the transparent water to be rendered on top of the landscape by setting the Depth bias property of the water to -1. The number of waves. More waves create a more complex pattern, but is slower to render and simulate. For realistic water use about 100 waves. For cartoony water 10 can be enough. The 1st slider sets the minimum and the 2nd the maximum wavelength. For realistic water use a minimum wavelenght of about 0.1. For cartoony water use about 10. The ratio between wavelenght and amplitude. Use 0 for a motionless sea, 50 for a calm sea and 500 for a storm. The 1st slider sets the minimum heading and the 2nd the maximum heading. 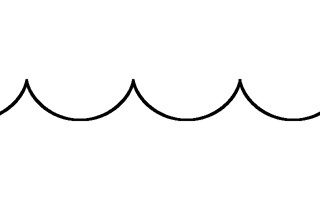 All waves are positioned randomly in between these values. To make all your waves move to the same direction, use a small range by settings the 2 sliders close to each other. The ratio between wavelength and speed. Warning: this property can not be animated without discontinuities so keep it fixed during the whole show. When using a value of 0, the waves are only moving vertially, creating round wave tops. This can be used to simulate a small pond or bath water. A value of 1 creates sharp wave tops that can be used to simulate a rough sea. A higher value makes the rotation of layers floating in the water (using the LAYER > Float in water menu item) less sensitive to the water.